'Isaimani' was born on Jan 19, 1933, as Govindarajan to proud parents, Siva Chidambaram and Avayambal Ammal in the small town of SIRKALI. Sirkali was the birthplace of Thirugnanasambandar, one of the Samaya Naalvar and the 63 Nayanmar of the Saiva faith. It was little wonder that he became a child prodigy performing at the Tirupurasundari Temple at the age of eight on the occasion of the Gnana Paal Festival. He first joined Devi Nataka Sabha as a Child Actor and later Modern Theaters at Salem. However, his love for Music was too much to ignore. He wanted to train in Classical Carnatic Music, which brought him to Madras. Under the guidance of 'Pandithar' P.S. Chettiar, he joined the Tamil Isai College, Madras and graduated in 1949 with the Degree 'Isaimani'. That same year he won the Governor General Sri. Rajaji First Prize-Tambura for the Gopala Krishna Bharathiyar Songs Competition from the hands of the first poet laureate of Tamil Nadu, Thiru Naamakkal Kavignar. The Central College of Carnatic Music was the next institution for his musical enrichment. Here too, he graduated with the Degree of ‘Sangeetha Vidwan’. At the same time, he started rigorous training (Gurukulavasam) under his Guru-Sri. Thiruppampuram Swaminatha Pillai, who was then a Professor at the Central College of Carnatic Music, Madras. Under his tutelage and in-depth study, he gained knowledge of the nuances and intricacies of Indian Music, especially, Classical Carnatic Music. During this period, 1951-52, he won many competitions, conducted by the Sangeetha Vidwat Sabha(Music Academy) and the Rasika Ranjani Sabha. He was the proud recipient of three Gold Medals(First Place) in the austere and hallowed halls of Sangeetha Vidwat Sabha(Music Academy) from Karaikudi Sri. Sambasiva Iyer. "Sangeetha Vidwan" Sirkali won all first places in the three categories: Apoorva Krithis of Sri Thyagaraja swamigal, Ragam-Thanam-Pallavi, and Tamil Classical Songs. 'Isai Arasu's' accomplishment at that young age, and the knowledge of music which he judiciously used, helped him carve a comfortable niche for himself in the hearts of both the Elite and the masses. He started singing to audiences in major cities such as Delhi, Bombay, Calcutta, Ahmedabad, Hyderabad, Tirupati, Trivandrum, Bangalore, literally in all the southern states, and in every nook and corner of the country. He had performed abroad widely starting as early as 1958. He has sung in U.K., U.S.A., Canada, Europe-France, Germany and Switzerland, Malaysia, Singapore, SriLanka, Nepal and Mauritius. Everywhere he went he had the extraordinary talent of keeping the audiences spellbound and entertained. His concerts were aimed at spreading devotion, promoting Goodwill, and sustain the values of our rich cultural heritage. Most of his concerts were benefit performances towards building temples and scholarships for Indian Children. Fans around the world, including those from SriLanka, Malaysia, and Singapore were lucky to listen to him performing concerts for over 6 hours, rain or shine. 'Ezhisai Mannar's' voice attracted the moviegoers and soon the moviemakers came. His first song in the movies was a classical piece, 'Siripputhan Varuguthaiya', in the movie-Kalki's Ponvayal. It was simultaneously recorded in Telugu as 'Lokamey Vichitrmaiyah'. He soon became a famous playback singer, singing for popular heroes-'Puratchi Thalaivar' MGR, 'Nadigar Thilakam' Sivaji Ganesan, Prem Nazir, N.T.Rama Rao, Rajkumar, Kalyan Kumar up until present day 'SuperStar' Rajnikanth. He has sung a wide variety of songs for the movies-Devotional, duets, romantic songs, comedy, background and folklore songs for music directors from-G.Ramanathan, Sudarsanam, Ramachandra, M.S.Viswanathan, T.K.Ramamurthy, K.V.Mahadevan, T.R.Paapa, Sankar-Ganesh, V.Kumar, Ilaiyaraja and Deva. In 1963, in an Orchestra concert at Shanmukhananda hall, Bombay, by M.S.V. he sang 'Devan Kovil Maniosai'. Among the audience were Lata Mangeshkar and Naushad, who wanted to know the translation of the song, came backstage and told him that his voice rang like the bell-loud and clear. 'Gambeera Gana mani' as he was called by Kanchi Periyava, at The World Hindu Conference, '77-made devotion to God and Country his mainstay. Shri Kanchi Kamakoti Mutt, Shri Dharumai Adheenam, Shri Bhuvaneswari Adhishtanam, Shri Kunrakudi Adheenam, Shri Brittania Hindu Shiva Temple Trust of London, Sri. Kripananda Variyar Swami, Sri la Sri PandriMalai Swami and Melmaruvathur Adhi Parasakthi Sithar Peetam, recognized his spirituality and devotion and hailed him as the 'Cultural and Religious Ambassador'. His religious faith only helped him to understand better others. He joined in reciting of Koran with Muslim friends in the Mosques at Mount Road, Madras and Nagore. He had the magnanimity to respect fellow religions, which he expressed by his live concerts dedicated for religious harmony in Malaysia and India. In 1966, he gave a full length concert of only Christian Songs at the Catholic Church, at Kanyakumari. He was the first Tamil Artist to record Christian Songs with HMV. Later, he also recorded the songs of Veera Ma Munivar, an Italian Poet who wrote songs on Christ in Tamil. His recent multi-religious album named "Emmadamum Sammadam" (Live in Malaysia) is released by Dreams Audio. 'Kalaimamani' Sirkali served his duties to the country by singing the Invocation song for many Government Functions, before many Chief Ministers, Prime Ministers and Presidents. He sang benefit concerts for the School for Handicapped Children, Gandhi Jayanthi Functions, Republic Day and Independence Day Celebrations, Flood and Drought Relief Fund Raising Concerts, World Tamil Conferences, and songs on leaders like Gandhiji, Kamaraj, Anna, Periyar and MGR. AIR recorded special songs during the Indo-China War and the Bangladesh War. He was the voice for programs such as Adult Literacy, Family Welfare etc. His contributions to various Central Government and State Government funds at times of need for the country, deserves a humble mention. 'Tamil Isai Mannar' Sirkali started receiving accolades long overdue. However, as the Gita says, and like a true devotee, he placed everything at the Lotus Feet of Lord Almighty. He was elected to be one of the Secretaries of the Sri Thyaga Brahma Mahotsava Sabha at Thiruvaiyaru, during which he dignified the activities of the Sabha by inducting more and more life members, promoters and devotees and implementing various reformative schemes with devotion. 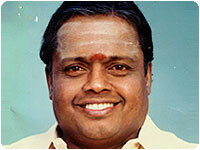 He was honored with 'Isai Per Arignar' the highest honor from Tamil Isai Sangam, Madras. The Madras University, in its Post-Centenary Celebrations awarded the 'Honorary Doctorate' in 1983. That same year he was awarded the 'Padmashri' by then President Zail Singh. 'Padmashri' Dr. Sirkali also spent time, money and effort towards education of music for the youth. He awarded Gold Medals in his Guru's name at the Tamil Isai College every year for the best student. He was appointed as a Fellowship Professor by the University Grants Commission at the Madras University, in 1978. He pooled his remuneration from the awards and his professorship to fund the scholarship programs in his Guru's name. In 1984, he was appointed Dean, Faculty of Fine Arts, Annamalai University. He revamped the Department, started the Raja Muthiah Manram which had famous performing artists giving lecture demonstrations, followed by free concert for everyone. The first group of graduating students have already become professional performers and have released their first cassette. He was the honorary principal of Tamil Isai College at Raja Annamalai Mandram, Chennai. 'Isai Mani', 'Sangeetha Vidwan' Dr. Sirkali Govindarajan lived a short but full life. At the young age of 55, he left us for the Lotus Feet of The Lord on March 24, 1988. His last words were "ULAGAM VAAZHGA"--i.e., Long Live The World. He made this phrase a part of his daily prayer and meditation, and so it remained till his last breath. He is still missed not only by his family but his fans as well. Recently, AIR Trichy dedicated a special program to Dr. Sirkali Govindarajan, giving the listener an insight into his career and music. This program was compered by Thavil vidwan, Thiruvalaputhur Kaliyamurthy. Following this was an archival concert of Dr. Sirkali, with accompanying artists--Umayalpuram Sivaraman and M. Chandrasekaran. We are happy that he left his Legacy behind through his son, Dr. S. G. Siva Chidambaram M.D. Under the able guidance of his father, 'Kalaimamani' Dr. S. G. Siva Chidambaram has absorbed the essence of his father's style and serves it with his own swing (More on-The Legacy-Dr. Siva Chidambaram).